Our Wedding Rehearsals are designed to give you peace of mind. We not only rehearse the typical walking in and walking out, we also go into very fine details of each aspect of your ceremony. We are conscientious to make sure you don't have any unwanted backdrops and we assist your photographer and videographer by making sure you are in the ideal positions to make capturing the moment easier. Some couples will tell us, “oh we will be fine, we have been to many weddings ourselves” but what they don’t think about is the fact that the couple they watched be married most likely had a rehearsal, therefore everything ran smoothly. Another aspect not always thought of ... the attendants, the children, and the parents, especially Dads giving away their daughters. Some fathers are more nervous than the entire Bridal Party put together! Some couples will also say, “we are not nervous at all, we will know what to do” but then I ask them … will everyone else know what to do? Will they be nervous? Also, think again about your photographs. We have worked very closely with countless photographers/videographers and we know what they need you to do. Consider this, even actors and actresses have countless rehearsals before each of their shows to ensure perfection. Whether it is a Broadway musical/play or the big screen movies, professionals rehearse as well ... so why leave your wedding up to chance? “We don't know what to do ... Never did this before and wanted to know how we stand and where the rings will be. Its just so confusing . Are we supposed to be on a certain side, who holds the rings, where do we face at different parts of the ceremony, can we practice at least saying it and doing the ring part. Its a little nerve racking going into this clueless. We would feel more comfortable with some guidance. Thanks.” - Cathy R.
... and another quote: "Thank you for agreeing to add on the rehearsal. I thought about how much I'm going to have on my mind the day before the wedding and then I got a flash of trying to get 10 people + 5 kids in order...not to mention trying to get them to listen to me and take me seriously. It didn't look good in my head, so I immediately emailed you. LOL" - Sheena K.
So many questions pop up the closer you get to your ceremony day. Just taking that one hour to rehearse will make your wedding day so much more enjoyable because none of those questions will be running through your head. You will actually have the opportunity to take pleasure in your day! Our rehearsals are also designed to save you time. 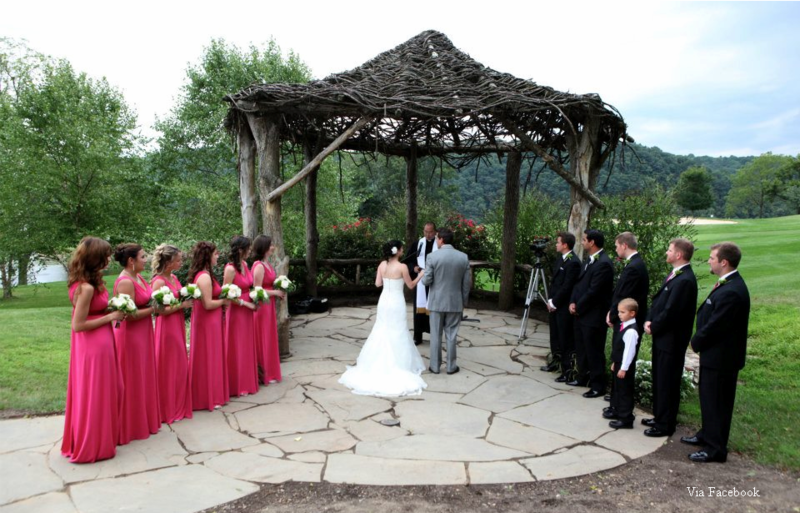 We will take you through every step of the ceremony once, twice or until everyone feels comfortable. We try to touch on every potential situation that may occur as every wedding location differs in size and set up and every couple has their own visions of their wedding day! Most of all we listen to what you want. If you are not happy with what someone might be telling you “you have to do” feel free to speak up, remember ... it is your day! We will also give you some important pointers on how to relax, get rid of some of those nerves and how to enjoy the most of your day! “I wanted to email and thank you so much for convincing us to have a rehearsal. My original thinking was that I already had spent so much on the wedding that I didn't feel like spending more money, but you were right, as the wedding day approached, I started having more and more questions. I wanted my day as perfect as possible and you helped us to obtain that perfection! On my wedding day it was so great to walk out those doors to see my waiting 'husband to be' smiling at me and not looking nervous at all! His smile made me smile and I truly realized at that point that I could enjoy these moments without the stress of "Oh God! Now what do I do?!?!" I don’t know what we would have done without you! You made the rehearsal so relaxing and enjoyable and full of laughter! We all had such a great time. At our rehearsal dinner everyone was talking about how great a time they had and knew that the wedding was going to be a fantastic day thanks to you! Please feel free to use my words! Hopefully I can help convince someone else to have a rehearsal and make their day perfect too! That was the best money I ever spent!! Thanks again!” - Jessica Q. Most wedding venues have coordinators to help you as well. Their mindset is limited to assisting you with walking in and walking out, and no one knows their facility better than they do. 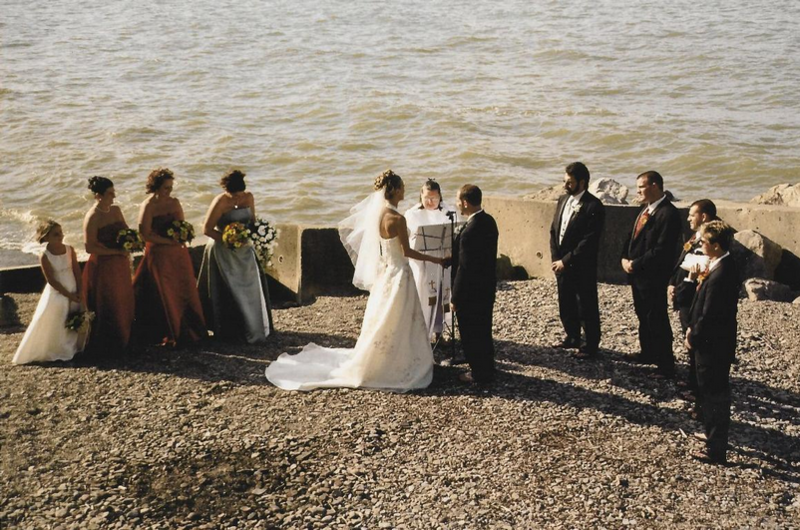 On the other hand, for the ceremony aspects, it is best to have your Officiant there so your rehearsal is more complete. We work together with Coordinators because after all, it is your day and we both want it to be as perfect as possible! With a Rehearsal everyone knows their place and your photos will be beautiful! Without a Rehearsal the wedding party are not in place and your photos will look disheveled and unorganized.